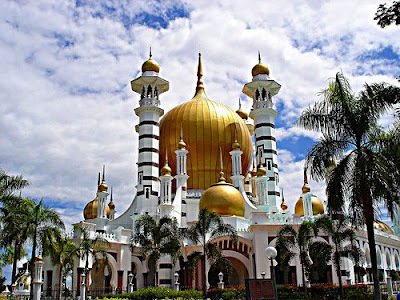 Masjid Zahir is Kedah's state mosque (masjid). 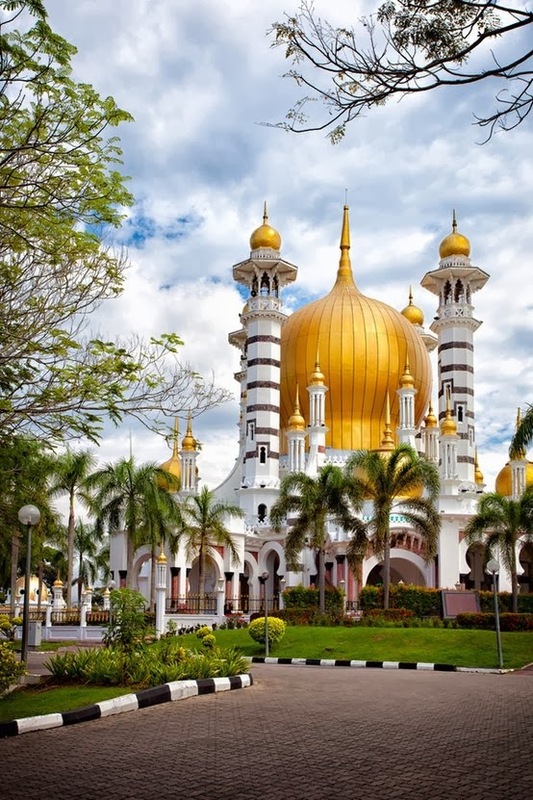 It is located in the heart of Alor Star, the state capital of Kedah, Malaysia. 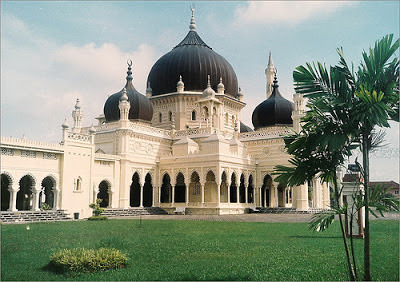 The masjid was built in 1912 (more than 100 years old). 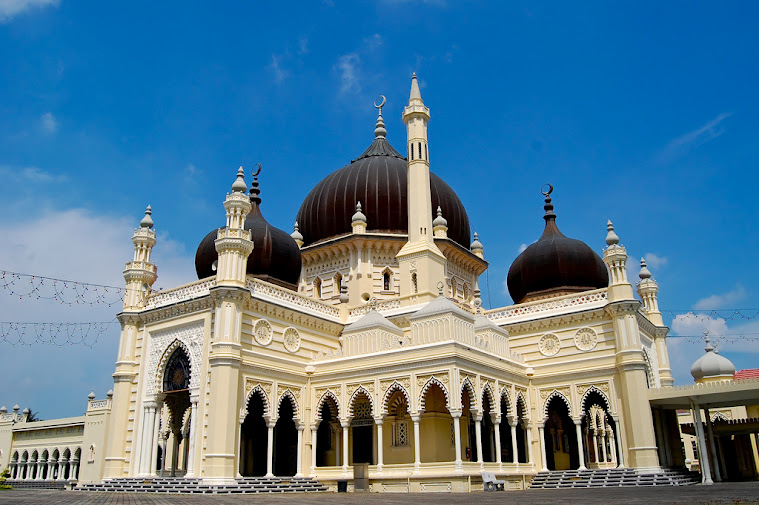 It is enhanced with five prime large domes symbolizing the five Islamic principles. It is one of the grandest and oldest mosques in Malaysia. 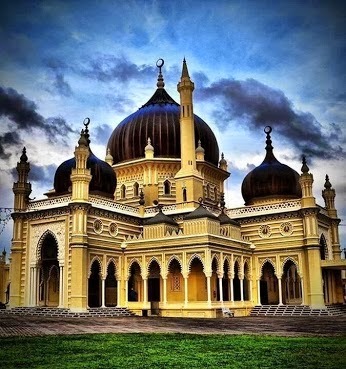 This mosque has been voted the top 10 most beautiful mosques in the world. I happened to peform the weekly Friday prayer at Masjid Al Najihin in Kuala Lumpur, where His Royal Highness visited today. 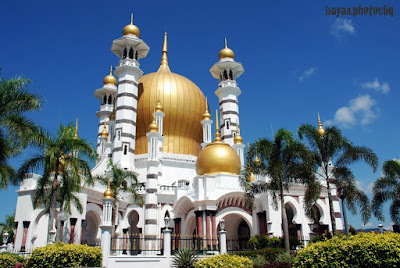 He would perform Friday prayers at different mosque every week in order to meet the people (or "rakyat") from various locations in the country. In case you are wondering, in the picture, I am wearing blue shirt and white prayer cap. The King is wearing the Malay traditional costume (with black cap). Long Life to the King! May Allah bless you and protect our wonderful and peaceful country. A speaker at Asian Economic Conference 2009: “Has Asia’s Time Come To Shine & To Be Positioned As a Global Leader? 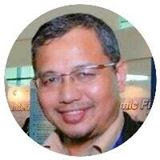 I was given the opportunity to present the Islamic finance solutions to global economic crisis at the Asian Economic Conference 2009 held at Hotel Istana Kuala Lumpur on 18-19 May 2009 organised by Asian World Summit. I feel so humbled to share the stage with world-class speakers which include New York Times bestselling author John Assaraf (USA), a former finance minister (Japan) , a former UN representative (Korea), a university professor (Hong Kong) and a top economist (Spain)...the giants in their fields of expertise. Thanks Asian World Summit for inviting me to represent Malaysia in this conference. May 2009 could be very special month for me. Not only it is a my birth month, it could be a major turning point in my consulting and training business, insyaAllah (God's willing). 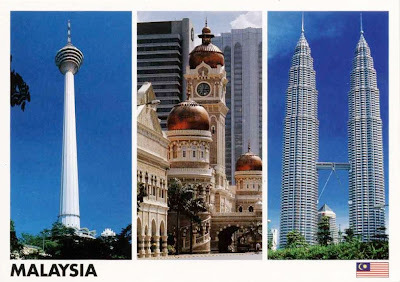 Many positive indications pointing towards doing major consulting, advisory and training projects in Islamic banking, finance, business and property (Islamic city project) in 4 countries (Malaysia, Singapore, Brunei and an African country) starting from May 2009. 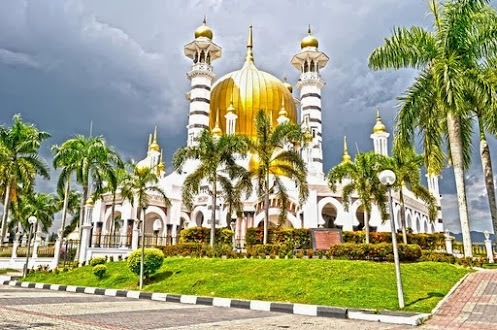 I will provide consultation and training in the setting up of a new Islamic bank in a South East Asian country and consultation and training for a central bank of an African country on Islamic banking system. It will be a very busy month in May. Come what may....may Allah help me. Today I was at Angkasapuri (literally means building in the sky) in Kuala Lumpur for a recording of a weekly radio program on Islamic Economic System. 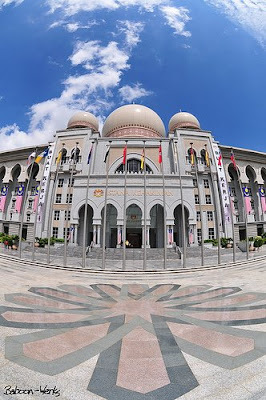 Angkasapuri is the main governmental building for Malaysia's Ministry of Information and it is also the headquarters for Radio Television Malaysia (RTM). 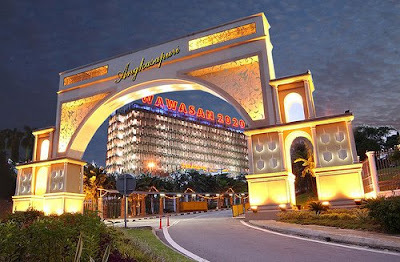 Displayed prominently on the building (which can be seen from miles away) is the national slogan "Wawasan 2020", means "Vision 2020", indicating the year Malaysia intended to be a truly developed country. 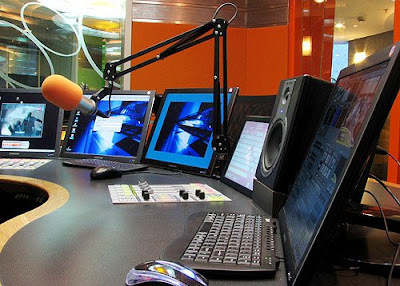 InsyaAllah I will be appearing weekly on RTM radio programs as a guest speaker on various topics related to Islamic economy, finance and management (in Bahasa Malaysia and English). The Best of All Time: Who is the most influential and successful person in history? 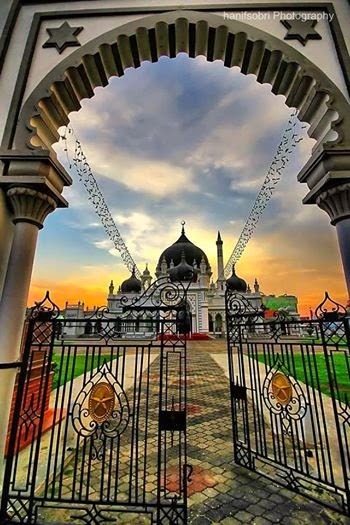 Prophet Muhammad is the most influential and successful person in History. Michael H. Hart of USA who wrote "The 100 most influential persons in history" and placed Prophet Muhammad (peace and blessings of God be upon him) as number one, on the top of the list. 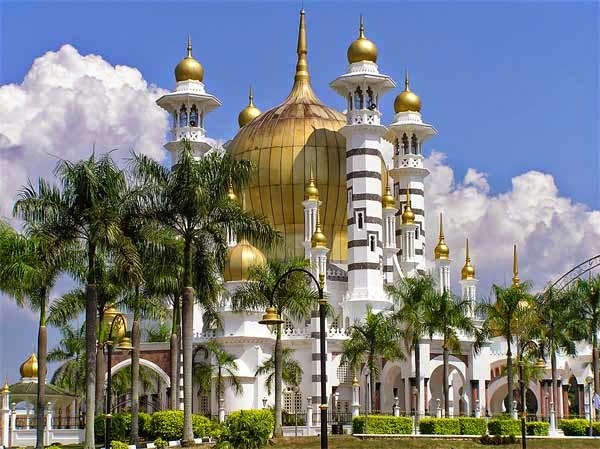 "My choice of Muhammad to lead the best of the world's most influential persons may surprise some readers and may be questioned by others, but he was the only man in history who was supremely successful on both the religious and secular levels. Prophet Mohammad (peace be upon him) is the greatest man in history. Volumes and encyclopedias and even libraries have been dedicated to presenting the description of this great man. 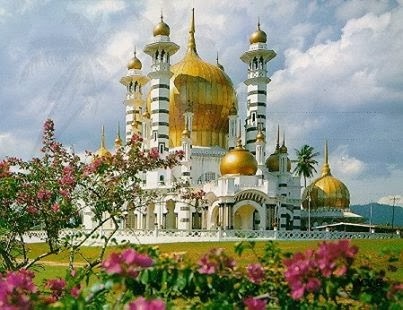 Considering the qualities and teachings of Prophet Muhammad (peace be upon him) testified to by so many people (Muslims and non-Muslims) throughout history and even testified to by Allah Himself, we conclude the following to be only a partial list of the qualities, morals and virtues of Prophet Muhammad (peace be upon him). A non-Muslim writer, Michael H. Hart of USA who wrote "The 100 Most Influential Persons in History" placed Prophet Muhammad as number one, on the top of the list. He wrote, "My choice of Muhammad to lead the best of the world's most influential persons may surprise some readers and may be questioned by others, but he was the only man in history who was supremely successful on both the religious and secular levels". W. Wali - The Arabic word, “wali” (plural is owliya) is a bit difficult to bring into English without some explanation. Some say the word means; “protectors” and others have said “darlings” or “those in whom you put full trust and confide everything” . While still others simply offered the word “friends”. The meaning might be closer to the English word, “ally.” This is perhaps, a lot closer in meaning because when a person gives their pledge of allegiance to someone he or she is taking that person as a “wally” and this is called giving “bay’ah” in Arabic. The prophet (peace be upon him) was the living example of the most trustworthy and loyal of all human beings who ever lived on this earth. Anything mentioned to him in confidence would never be divulged nor shared with others. And when he was put in place of authority or “wali” over the people, they found him to be the best of those to be trusted. Muslims throughout the world commemorate the birth Prophet Muhammad. The birthday falls on the twelfth day of the month of Rabiulawal, the third month of the Muslim calendar. This is purely a religious festival and is marked as a public holiday an many countries including Malaysia (this year, 9 March 2009). Prophet Muhammad’s birthday is celebrated by Muslims throughout the nation, with special prayers that are recited at the mosque. Many gather for processions and religious rallies to mark this auspicious day. Feasts are also organised by individuals or by religious and social institutions for the poor and needy. This sermon was delivered by Prophet Muhammad (PBUH) on the Ninth Day of Dhul Hijjah 10 A.H. in the 'Uranah valley of Mount Arafat' (in Mecca). Wahai manusia, dengarlah baik-baik apa yang hendak kukatakan, Aku tidak mengetahui apakah aku dapat bertemu lagi dengan kamu semua selepas tahun ini. Oleh itu dengarlah dengan teliti kata-kataku ini dan sampaikanlah ia kepada orang-orang yang tidak dapat hadir di sini pada hari ini. 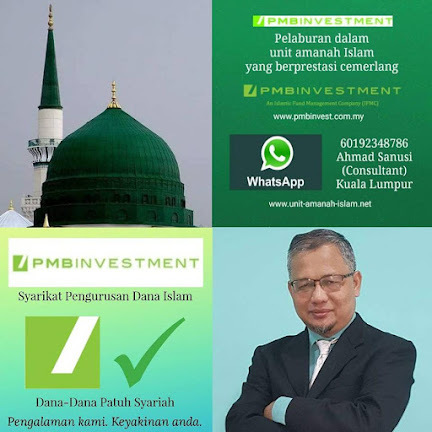 Wahai manusia, sepertimana kamu menganggap bulan ini dan Kota ini sebagai suci, maka anggaplah jiwa dan harta setiap orang Muslim sebagai amanah suci. Kembalikan harta yang diamanahkan kepada kamu kepada pemiliknya yang berhak. Janganlah kamu sakiti sesiapapun agar orang lain tidak menyakiti kami lagi. Ingatlah bahawa sesungguhnya, kamu akan menemui Tuhan kamu dan Dia pasti membuat perhitungan di atas segala amalan kamu. Allah telah mengharamkan riba, oleh itu segala urusan yang melibatkan riba dibatalkan sekarang. Wahai Manusia Sebagaimana kamu mempunyai hak atas isteri kamu mereka juga mempunyai hak di atas kamu. Sekiranya mereka menyempurnakan hak mereka keatas kamu, maka mereka, juga berhak untuk diberi makan dan pakaian dalam Susana kasih sayang. Layanilah wanita-wanita kamu dengan baik dan berlemah-lembutlah terhadap mereka kerana sesungguhnya mereka adalah teman dan pembantu kamu yang setia. Dan hak kamu atas mereka ialah mereka sama sekali tidak boleh memasukkan orang yang kamu tidak sukai ke dalam rumah kamu dan dilarang melakukan zina. Ingatlah, bahawa, kamu akan menghadap Allah pada suatu hari untuk dipertanggung jawabkan di atas segala apa yang telah kamu kerjakan. Oleh itu Awasilah agar jangan sekali-kali kamu terkeluar dari landasan kebenaran selepas ketiadaanku. My consulting firm, GlobalPro Consulting is organising The Global Shariah and Legal Aspects of Islamic Finance on 7-8 April 2009. The conference will be held at the Ballroom, Legend Hotel Kuala Lumpur. Various fundamental and contemporary issues pertaining to Shariah and legal aspects of Islamic finance will be discussed by Shariah and legal experts. Suggestions or resolutions from this conference will be submitted to relevant authority for further action. The response is very encouraging with participation of Islamic bankers, legal practitioners, Syariah advisors, university lecturers, religious officers, reps from financial authorities from Malaysia and other countries. We are expecting 100 participants at this conference. 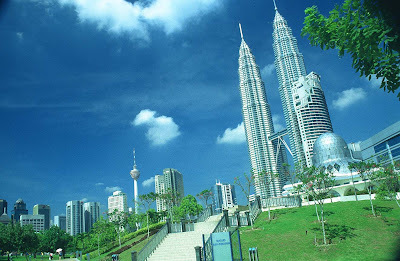 Welcome to Malaysia, the world's leading centre for Islamic finance. 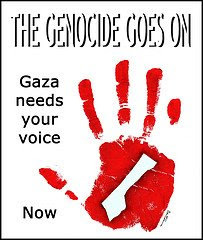 We hope to do justice to you! For further info please visit the event page. 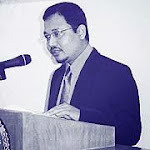 On 2 March 2009, I delivered a lecture on Positive Mental Attitude and The Success Principles in the Empowering the Mind Seminar held at Universiti Teknologi MARA (UiTM)'s main campus in Shah Alam (capital city of Selangor, Malaysia). Professor, lecturers, counselors and students are in the audience. I have been delivering lectures on Islamic finance for 17 years and this is actually my very first time delivering a lecture in a university on motivational / empowering the mind topic. I take up the challenge and really make a thorough preparation for this presentation...as I don't want to disappoint those who trusted me to deliver. With working experience in various organisations for 18 years and reading/researching some 14 books (my own collection) I prepared 50-page multimedia presentation (plus several video clips). The most important reference is the Book on the top of the third picture above...the Holy Quran. Many verses in Holy Quran encourage mankind to think! I really enjoy the 2 hours lecture in this well organised seminar. Hopefully they get motivated for a long time to come. Now I am ready to speak on motivational / empowering the mind / success principles topics in 1 or 2-day programs (in-house training or public workshop). I am writing a book related to these topics (a million copies to be sold...hopefully not a million photocopies...the "xerox culture" is killing the writers). I will upload some video clips and photos of the event when they become available. 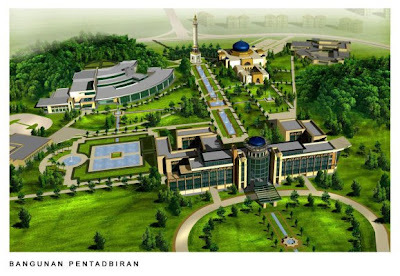 Note: UiTM is the largest university in Malaysia with 42,500 students. Having lunch with Mr Yerlan from Kazahstan (left of picture). On the right are the speaker and guest from Maybank IB (Investment Bank). Mr Yerlan is in KL to attend the Global Sukuk Conference organised by my firm, GlobalPro Consulting on 25-26 February 2009. He invited me to speak in Astana Islamic Finance Conference on 10-11 March 209. I have to politely decline the invitation due to my busy schedule (next time insyaAllah). I was told the weather in Astana is minus 30 degree (- 30), just the opposite of the weather in Kuala Lumpur (+30). You have to be mentally and physically prepared to face that kind of cold weather. Kazakhstan is formerly a part of Russian Federation with some 60% Muslim population. Mr Yerlan also informed me they are descendants of Khublai Khan....the warrior...and often mistaken to be a Chinese or Japanese. A Malaysian politician passing by our table even spoke in Malay to him thinking he is a local Chinese! I can understand why he was so puzzled and asked the politician to speak in English or Russian to him. Special thanks to Mr Ahmad Salleh Hariri, Islamic Development Bank (IDB)'s Regional Director for giving a special presentation at an Islamic Finance conference organised by my firm, GlobalPro Consulting on 23-24 February 2009 in Kuala Lumpur. After meeting me, he went for a meeting with my namesake Tan Sri Sanusi Junid, former President of International Islamic University Malaysia and former Chief Minister of Kedah state (also my home state). He is known for introducing many creative ideas....some are too creative and people can't really implement them. Thanks Brother Ahmad Salleh Hariri for your kind support. I will be the Keynote Speaker in a seminar entitled "The Executive Overview on Islamic Banking and Finance" to be held at Seri Pacific Hotel, Kuala Lumpur on 23-24 February 2009. The respond is very encouraging....the Central Bank of Malaysia (Bank Negara Malaysia) alone is sending 10 delegates to the seminar plus delegates from other financial and non-financial institutions. For the record, Bank Negara Malaysia (Malaysia's No. 1 financial regulator and world's best central bank) is the strongest supporter to all Islamic finance events organised by my firm, GlobalPro Consulting... that's a big of encouragement for my team. 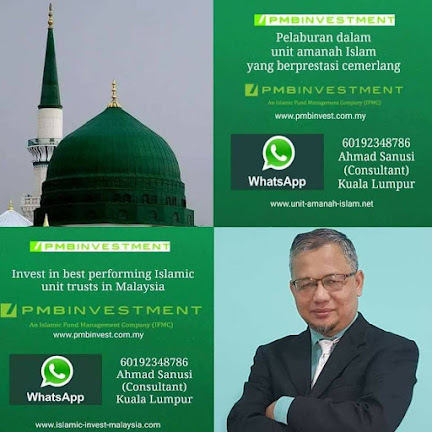 We are doing our small contribution in promoting Islamic finance and also to promote Malaysia as No.1 International Islamic Financial Centre. Malaysia Boleh! (Malaysia Can Do!). To join the seminar please visit this site. 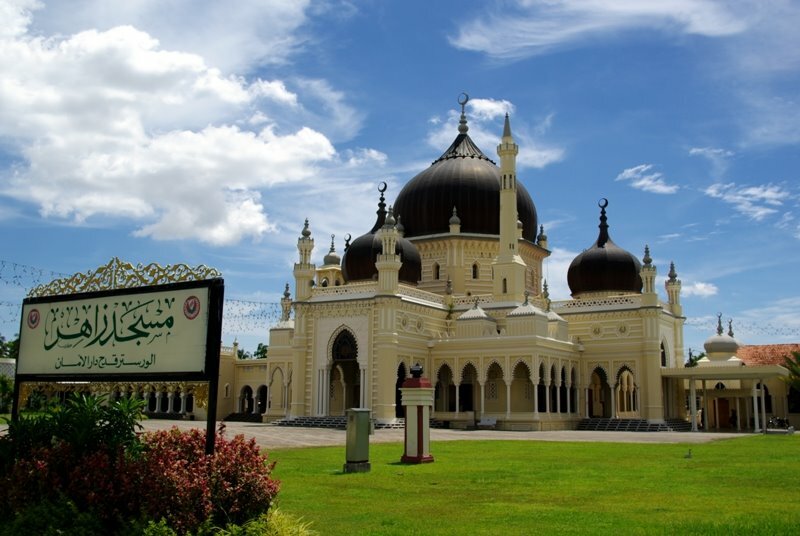 This is Masjid Ubudiah located in the royal town of Kuala Kangsar in the Malaysian state of Perak (the silver state). The mosque is certainly ranked as one of most beautiful mosques in the world. 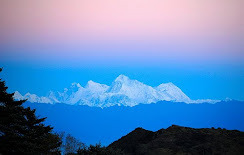 Its beauty and tranquility has attracted worshippers and visitors from all over the world. 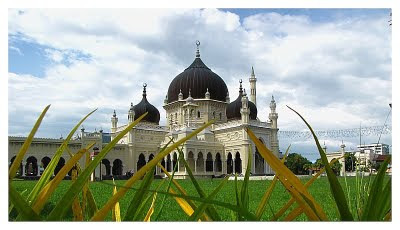 A mosque is symbol of unity for Muslims regardless race, nationality or political affiliation. It should be a source of inspiration for people to live in peace and harmony.....that's what Islam stands for literally and spiritually. Today, 12 January 2009 I delivered the first paper (as the first speaker) at the Actuarial Science and Risk Management (ASRiM) Seminar organised by Faculty of Science and Technology at Islamic Science University of Malaysia (USIM). The theme of the seminar is "Actuarial Role in Islamic Finance". Some 300 participants from several universities and financial institutions attended the seminar. Nice to see such a big crowd. The title of my paper is "Islamic Financial Planning and Wealth Management". After my presentation, Prof. Dr. Jeyaraj Vadiveloo from University of Connecticut, USA presented his paper on Integrated Financial Planning followed by a presentation by an actuarist. Last 2 days (on the weekend) I taught Islamic Finance at University of Technology Malaysia (UTM)....9am -5pm for 2 days. 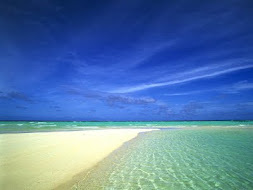 I just enjoy teaching and passing on "useful and beneficial knowledge" and keep on seeking new knowledge.